Nowadays more and more people use portable electronic devices like iPod to listen to music. As a result, the backup and transfer of iPod music have become consequent demand which bothers lots of people. 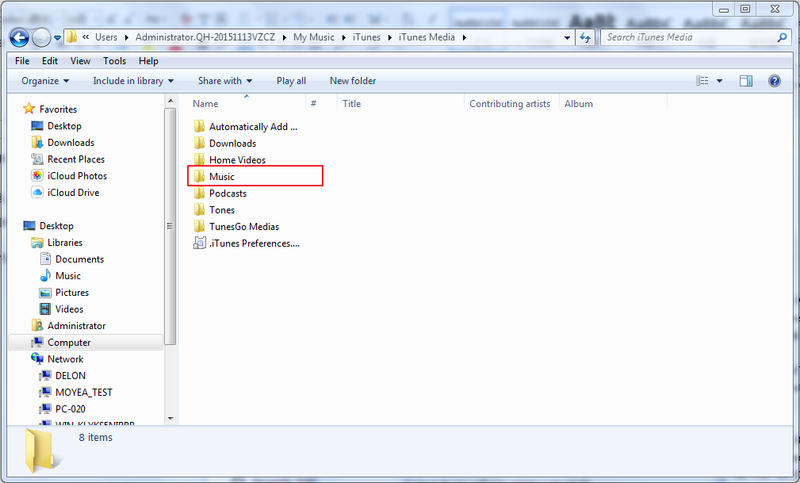 Here I will introduce two ways to help you copy music from iPod to PC with ease. Leawo iTransfer is a software program which has been devoted to providing perfect solution for iPhone, iPad, and iPod transfer issues. And yet it has made satisfactory achievement. Users now can use it to backup and transfer 12 kinds of files, like apps, photos, music, videos, SMS, contacts, and so on between iOS devices, iTunes and PCs. Next I will show you how to use iTransfer to copy iPod music to PC. The steps are shown as below. Start iTransfer on your computer and connect your iPod to PC by USB cable. iTransfer will immediately detect the device and show its interface as the image below. Click the name of your device on the left column of the interface. And you will see a drop-down menu composed of different kinds of files. 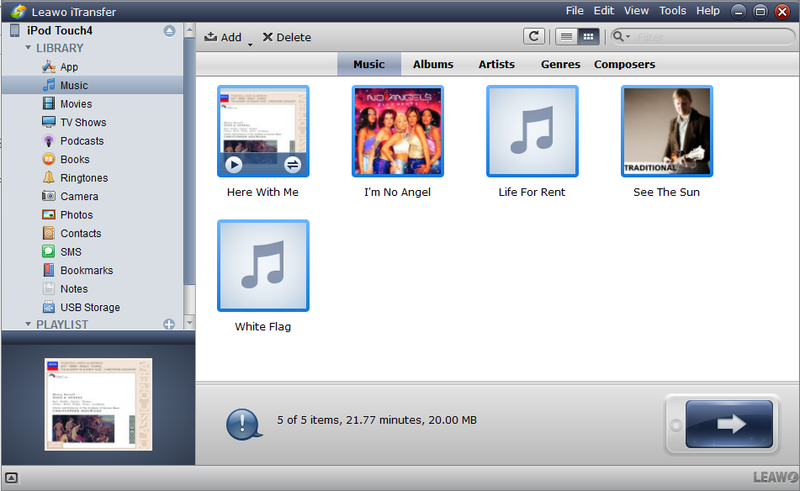 Click “Music” on the menu, and all the music files will be displayed in the right container. While holding down the CTRL key, click the files one by one to select them all. The selected file will be added with blue border to help identify. Select a song and right-click it, then choose to transfer to computer. A dialog will pop up to let you select a path to save the files. Check “Save to folder” and then click “Change” to browse folders on the computer. Finally, click “Transfer now” to start the transfer. 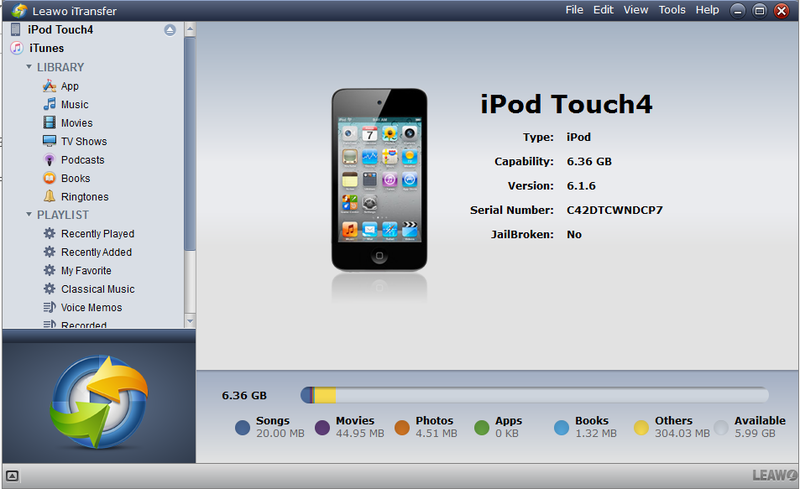 In this way, you can copy music from iPod touch to PC. 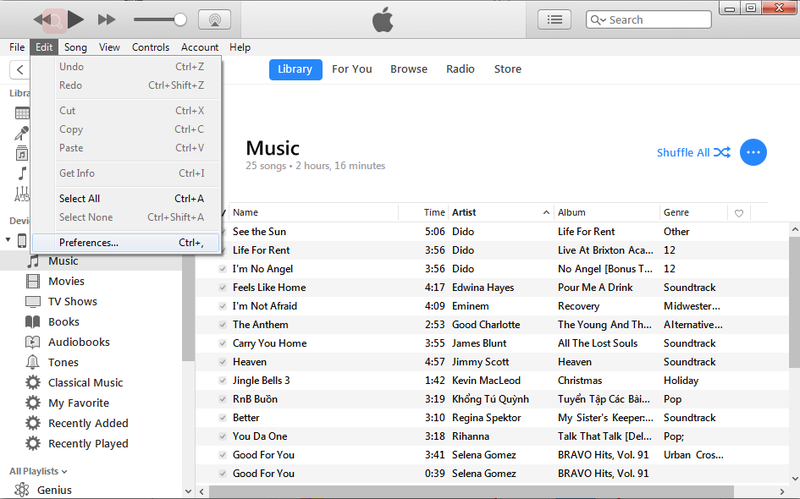 Through iTunes users are able to play, download, and organize digital downloads of music and video on personal computers running the macOS and Microsoft Windows operating systems. 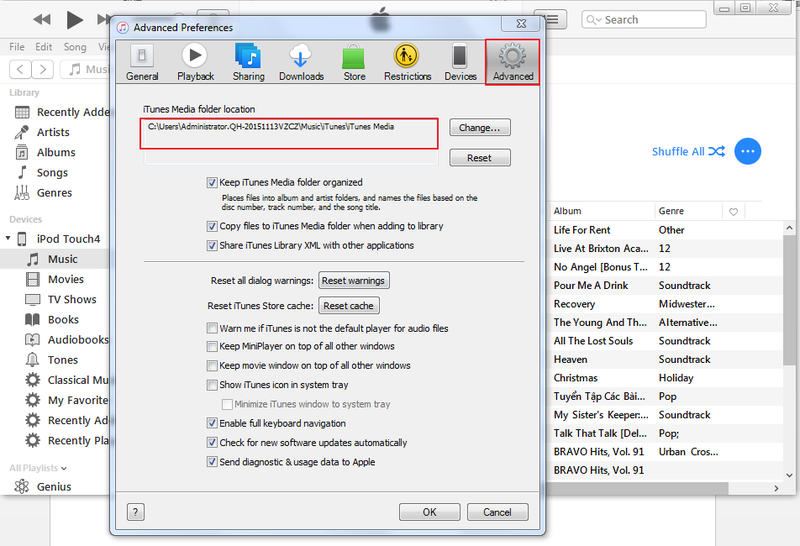 And the following steps are about how to copy music from iPod to PC. 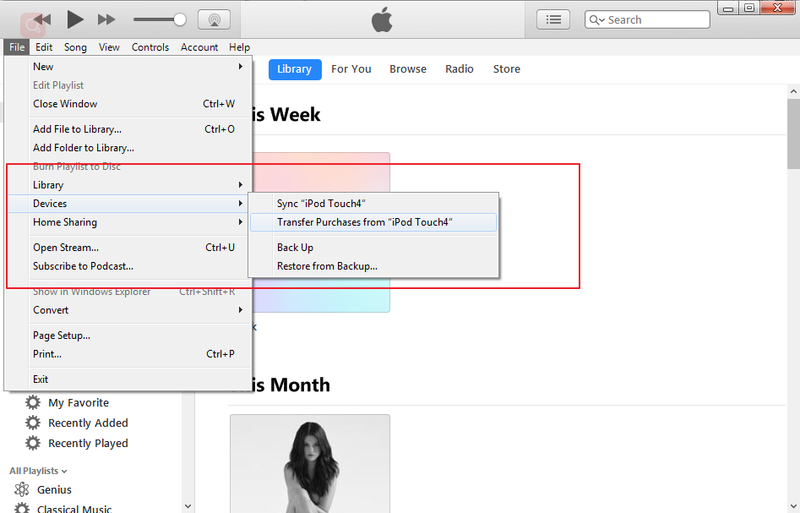 Do remember to stop iTunes’s automatic syncing before you connect iPod to your PC, or the music files in your iPod will be covered. Start your iTunes and then connect your iPod to your PC. 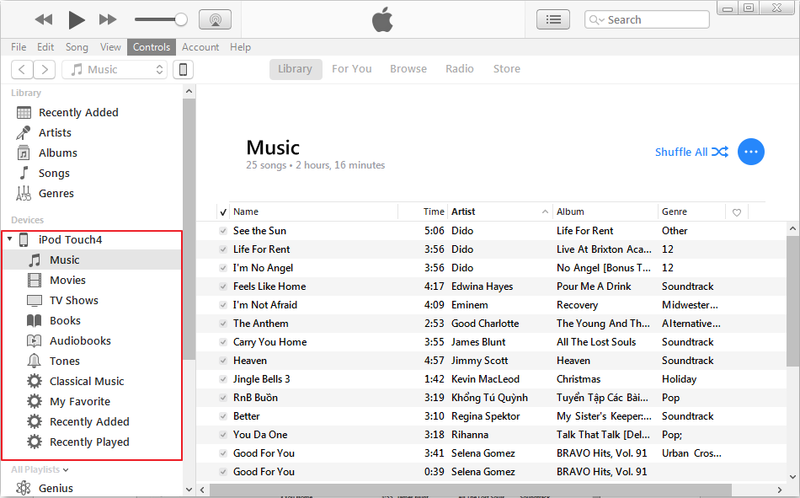 iTunes will automatically detect your iPod and show its file list in the left column. 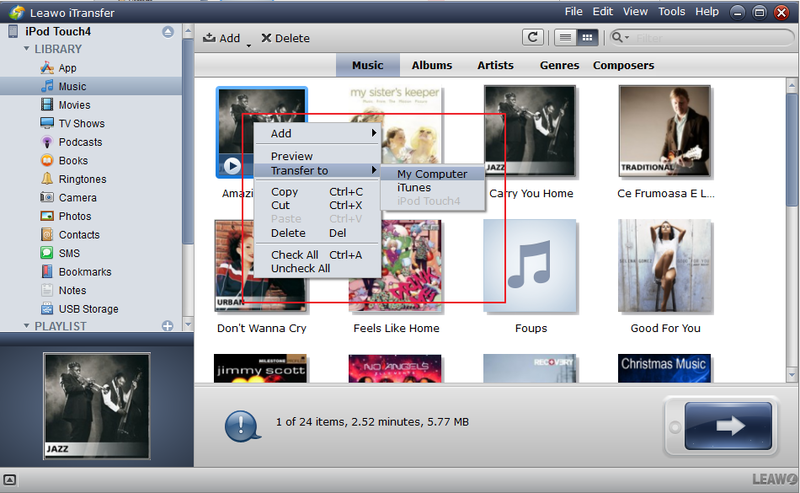 Click “File > Devices > Transfer Purchases from “iPod Touch4” to copy music from iPod to PC. Wait till the transfer is over, then click “Edit” on the top and select “Preferences” in the drop-down menu. Click “Advanced” in the preferences panel. And the path with red frame line is the place where the music files is saved. Copy the path in the image above and paste it in the windows explore and you will see folders like the image below. Double click the folder named music and you will find all the music files. 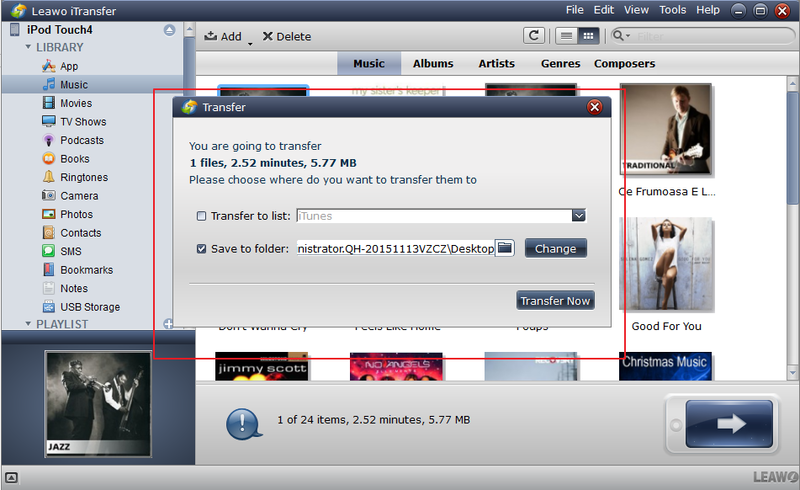 As you can see, iTransfer, makes it simple to transfer files from iPod to PC. On the contrary, using iTunes can be more inconvenient and time-wasting. 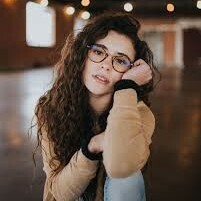 So I suggest you use iTransfer to copy music files from iPod to PC rather than using iTunes, especially when there are lots of songs in your iPod since syncing in iTunes can be particularly time-consuming.